Heated debates are ongoing within the Iranian government. US intelligence has come to the conclusion that Iran has possibly resumed nuclear weapons research. 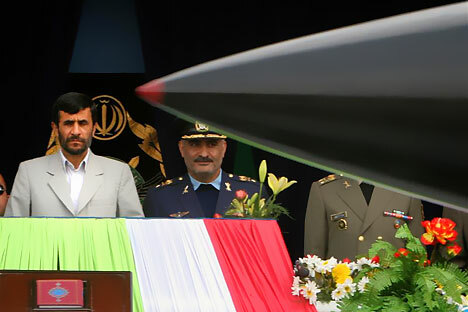 However, in the new National Intelligence Estimate (NIE), it is stated that the military program has hardly been launched in full force, as the Iranian government is divided on this issue. Washington officials believe that the nuclear disputes in Tehran are a result of sanctions. NG’s expert has doubts about this assessment. The Wall Street Journal has presented the final assessments of the US intelligence community yesterday. In the new National Intelligence Estimate (NIE) of the United States – a document that is jointly prepared by all of the country’s intelligence agencies – it is stated that Tehran has not only expanded its nuclear enrichment program but has also likely resumed its nuclear weapons research. No single assessment has been reached. Washington’s main conclusion: intense debates are currently ongoing within the Iranian regime over whether or not it to pursue its nuclear bomb ambitions. Recall that in 2007, the NIE revealed some estimates resulting in a major political scandal: the US intelligence agencies reported that Iran had halted its nuclear weapons program in 2003. In the current document, it is noted that at least some of the Iranian leaders are concerned about the future outcome of the national unrest, partially caused by the international sanctions against Iran. This has been the reason for discord in the country. Clearly, we cannot exclude the possibility that the publication is an attempt to validate the intensification of the UN Security Council’s sanctions against Iran. Aleksey Arbatov, head of the Center for International Security at IMEMO RAS, told NG that the conclusion drawn in the NIE may be extremely politicized. “They could be representing reality – or just as well as not,” said NG’s source. Meanwhile, Arbatov bases his reasoning on the assertion that Iran “is doing things to arrive at the threshold of creating a nuclear weapon.” Tehran’s refusal to comply with the UN Security Council’s resolutions demanding the suspension of its nuclear program, and its declarations of plans to build new uranium enrichment plants, are not in line with the Iranians’ assurances of the exclusively peaceful nature of their program. Iran’s main hope is to cause a split between the permanent UN Security Council members, so as to avoid the introduction of new sanctions, he argues. According to NG’s source, assumptions that sanctions have slowed Iran’s nuclear program are unjustified. Arbatov believes that the most important recent event that has affected Tehran’s plans was Russia’s refusal to complete the deal for the supply of S-300 complexes to the Islamic Republic. “This was a serious signal for Iran that it cannot endlessly play with Russia, the European countries, pit everyone against each other, and lie to them,” he said. As a result, he added, today we are seeing a decline in Tehran’s public activity in relation to nuclear development, suggesting that the Iranian government is, indeed, in deep thought. The expert believes that it is necessary to continue the same policy. Earlier this week, Russian Foreign Affairs Minister Sergey Lavrov underscored the importance of achieving complete clarity that the Iranian program does not have a military component. “This is an absolutely unavoidable goal, and our ultimate objective,” he concluded. Meanwhile, official Moscow is talking about the possibility of future sanctions without much optimism. Thus, according to Lavrov’s statement, the practicalities from imposing sanctions on those involved, even indirectly, to the Iranian nuclear program, have been exhausted. “Future sanctions will worsen Iran’s economy and create social problems for the population. To be honest, we will not be able to support them,” warned the minister.